The roaring engines of Formula One (F1) aren’t typically associated with green technologies. 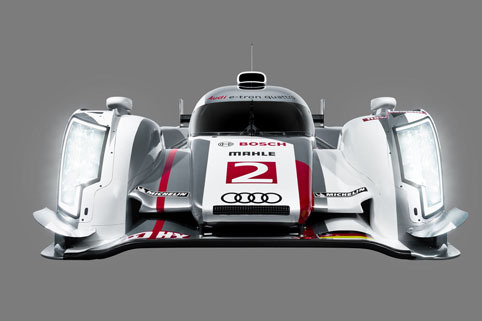 But things are starting to change in the gas-guzzling world of motorsport. Not only are we about to welcome the first-ever all-electric series, Formula E; F1 itself has also been busy cleaning up its act. Changes to technology rules have prompted the introduction of hybrid vehicles that regenerate power from the brakes, and starting this season, from waste heat. And now this shift is starting to have repercussions beyond motorsport. There has long been a technology overlap between the high-end automotive and aerospace sectors; but the adventures in electrical power systems have created an opportunity for F1-derived technology to find new applications in, of all things, renewable energy. In 2008, British F1 team Williams diversified its business with the creation of Williams Advanced Engineering, and one of its key goals was to adapt the company’s kinetic energy recovery system (KERS) for wider use: in trains, buses and construction vehicles, but also in energy-storage systems for electricity grids. 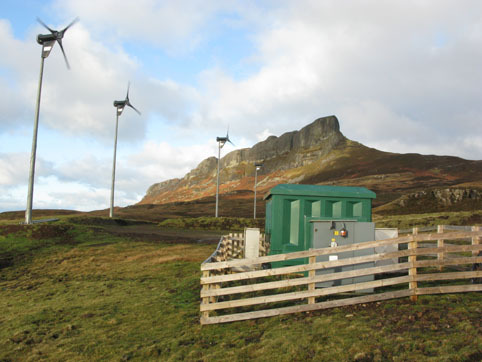 Now the firm is preparing to begin a two-year trial of its adapted KERS on two Scottish islands as a way of preventing power outages in communities that rely heavily on intermittent wind energy. If changing F1 rules led to the creation of Williams’ energy storage technology, they also helped start the company’s journey into the renewables sphere. After the firm had developed and tested a flywheel-based KERS, sudden alterations to the refuelling rules meant the cars needed larger fuel tanks, forcing Williams to abandon the system and instead take advantage of recent advances in high-voltage batteries that could be more flexibly packaged in the car. ]A flywheel is the equivalent of a mechanical battery: instead of storing energy as chemical potential, it stores it as movement in the form of a rapidly spinning disc. This is connected to an electrical motor, which charges the flywheel by increasing its speed; and a generator, which converts the rotational movement back into electricity. The flywheel will gradually lose energy on its own as the disc slows down, but the upside is it can be charged and discharged very rapidly, something that makes it ideal for capturing and briefly storing energy in regenerative braking systems. the system for use with micro-electricity grids powered by renewable energy sources such as wind turbines. That’s where Williams believes its technology can come in. By charging itself when the wind is blowing, the flywheel can keep the electricity flowing if the wind drops briefly, preventing interruption until it starts again or activating the diesel generator once it’s nearly discharged. This isn’t a new idea: one of the reasons that Goodwin was recruited six months ago was his experience working in California with hundreds of flywheels as part of uninterruptible power supply (UPS) systems in buildings where it’s vital the lights don’t go off, such as hospitals. Williams’ flywheel has two key design features that give it this capability. First, the flywheel and motor/generator are integrated into a single unit with cooling pipes next to the motor’s copper coils that carry away the heat generated as the system rotates. The second feature is more integral and helps the system to generate less heat in the first place. Instead of using solid magnets, the rotor is made with a layer of magnetically loaded composite (MLC) — essentially glass fibre containing crushed neodymium magnets. This has less conductivity and so reduces interaction with the stator’s changing magnetic field, therefore producing less heat. 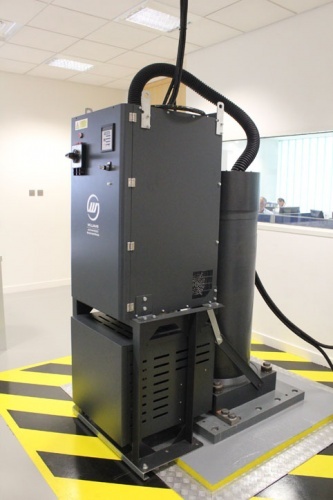 ‘This means the motor has very low losses and very high efficiency, which is very suitable for this kind of application,’ says Ooi, who is based at the Williams Technology Centre in Qatar where it is also trialling the flywheel in the country’s public transport system. 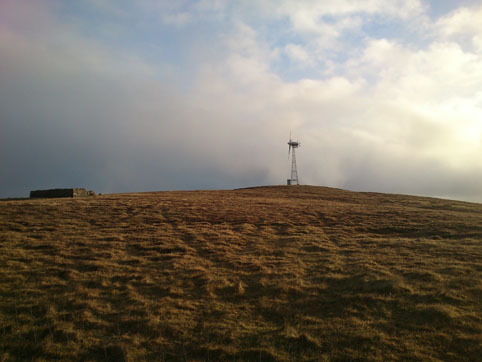 To test the flywheel’s ability to smooth renewable power flow, the company is undertaking a £1m project part-funded by the government to install the technology on two islands: Fair Isle, which sits between Orkney and Shetland, and was the site of the UK’s first commercial wind turbine back in the 1980s; and Eigg, the west coast Small Isle south of Skye that installed a modern renewable microgrid complete with turbine and battery storage five years ago. These two different environments give Williams the perfect opportunity to gather a range of data on how grid storage flywheels perform. Williams’ flywheels have a maximum power of 200kW, which means they could fully power around 200 homes for 30 seconds. But Goodwin says their more typical load will be around 20kw for up to five minutes. And although field trials have yet to start, the team has already managed to collect plenty of data by making the flywheels think they are already installed. ‘Instead of putting the flywheel straight on the site we have recorded data from all the components of the grid and run a simulation in real time interfaced with the actual flywheel,’ says Ooi. The grid-storage flywheel is remarkably similar to the one developed for the KERS. The wheel itself is the same diameter to maintain the optimum velocity of around 2,000mph at the edge of the disc, although it is also much taller (around 1m) in order to increase its mass and therefore the amount of energy it holds. If Williams’ affair with green technologies continues, there may be plenty more opportunities in the future. Wasn’t there a similar system developed for shunting locomotives in the 50’s or 60’s. If I remember correctly, the locomotive would stop at a power supply point and an electric motor driven flywheel would be run up to speed. The stored energy would then be used to drive the locomotive. I can’t remember if the locomotive drive was by electric motor or mechanically, but it would appear to be very similar to Williams’s efforts. Not only shunting locos but the Trams in a large South American city were flywheel driven in the 30s, 40s and 50s -with re-charging points all over the city. Almost pollution free and very quiet! I have just come from my weekly ‘stint’ as a guide at our local textile museum and working mill: Quarry Bank. Our Georgian ancestors knew a thing or two about using energy that was free! (or at least free after you had paid for the water wheel, and the Civil Engineering to divert the local rivers. I believe we have forgotten far too much that ought to be re-evaluated. There were city buses running with flywheels back in the 60’s I think. But like many of these things nothing more is heard and they disappear into history without much of a trace if any. how could anyone take offence at mike blamey’s writing above ? the man is absolutely correct and as always the younger generation thinks that its elders knew nothing. we can always learn from the past. The other benefit of flywheel assisted transmission is the ability to run an internal combustion engine at constant power at around the peak efficiency point. The drive is de-coupled from the engine (e.g. by a hydraulic drive) and the flywheel system is arranged to smooth the mismatches. Prof Stephen Salter was working on this when i was an undergrad at Edinburgh. Problem then was the efficiency of the hydraulic systems and the hazard of high-speed flywheel discs bursting – not good under the floor of a bus packed with passengers! I’m sure that advances in drive system inefficiencies and materials for discs can overcome these problems now.